The portable shrine that Moses built in the wilderness was stationed at Shiloh from the time of the Conquest until the city’s apparent destruction by the Philistines in 1104 BC. Excavations at the site have found significant remains from the Middle Bronze, Late Bronze and Iron I. 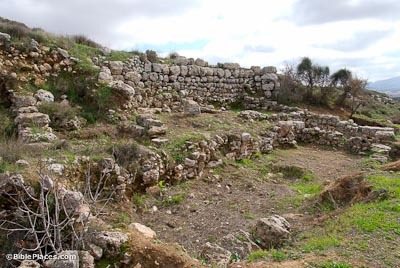 In the time before the Israelites, the city was strongly fortified with a massive wall and glacis. 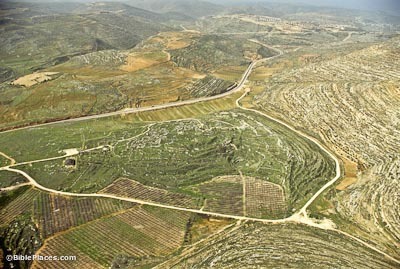 After the Israelites settled here, the site was unfortified; Iron Age residences were found built into the earlier fortifications. Israel Finkelstein believes that the tabernacle was on the summit of the tell, but Asher Kaufman argues that there is not enough room given the tabernacle dimensions. The best preserved Iron Age structures were those built in Area C into the Middle Bronze glacis. The pottery found in these buildings is the richest discovered in any early Israelite site. The Danish expedition found 10 whole vessels; the Israeli expedition found 30 additional vessels and large pieces of many more. The most significant part of this collection are the collar rim store jars which characterize early Israelite settlements in the Hill Country. Byzantine Church Excavations (BiblePlaces Blog) Commentary on news article about the recent discovery. Includes numerous photos. 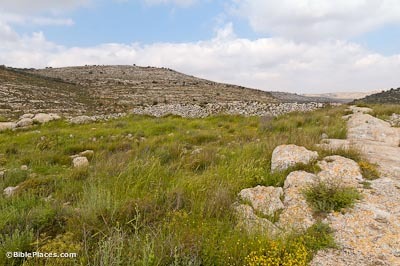 Tel Shilo (Jewish Virtual Library) Communicates the importance the site as a resting place for the tabernacle. Also highlights important archaeological discoveries, including pictures of mosaic floors found. Shiloh (Walking in Their Sandals) Gives easy-to-read information on the location, biblical significance, etc. Features links to photographs and on-line scripture references. 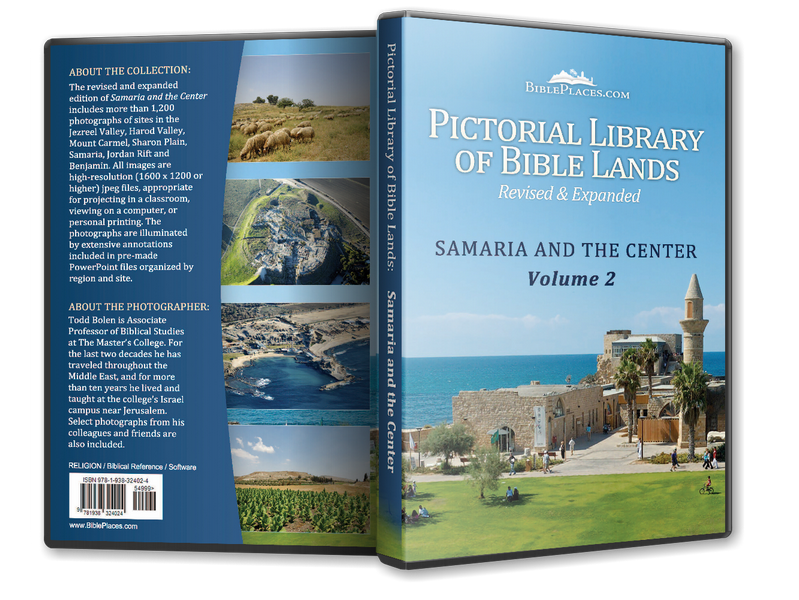 Shiloh (Christian Travel Study Program) Features several good pictures with excellent identifying captions, accompanied by text highlighting interesting features of the region. Shiloh (ChristianAnswers.net) Briefly describes the origin of the word, in addition to the basic biblical facts about the site. Shiloh (Camp S’dei Chemed International) Expresses the significance of Shiloh in history and the practices of modern day Judaism. Employs the use of many transliterated Hebrew terms. How Shilo Came to Be (Shilo, Jewish Community in the Land of Israel) A brief description of historic Shilo by the modern community living in the region. 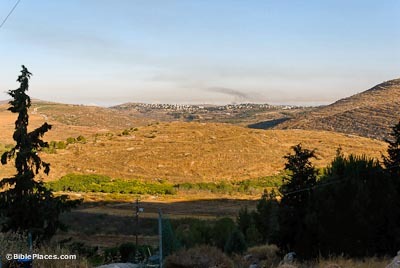 Includes links to information about Shilo today, the people of Shilo, housing, photos, etc.